QAnon Titanic – Why Is This Relevant?. ByInterstellar. Sourceqanon.pub. think about how many other stories there are we have not yet been told. Many asking about the Titanic. Here’s the run down. Q post 142.
the history behind it and why the banking cabal wanted to sink it.QAnon Titanic – Why Is This Relevant? Notre Dame Cathedral – Pleiadian Collective. By Kabamur Taygeta. Many In This Reality Are Grieving. Others Are Feeling Anger And Rage. One Creator, Is Part Of The Waking Dream. We Bow In Honor To The Light That Will Remain Of The Notre Dame Cathedral! The Fire Was Intentional And Set By A Group Which Are Now Only Entities Of Destruction Within. This May Not Be Disclosed At This Time But It Is Known Presently. Editor’s Note: many are saddened by the fire engulfing the roof and main spire of the Cathedral of Notre Dame, but strangely enough, the interior of this historic building was largely untouched. Incroyable, c’est nes pas? Even before the fire had tied down, authorities in France were claiming that arson was out of the questions, not possible, which of course indicates arson to be a prime suspect! The cabal loves to use mirrors and apposite in their continued ploy to confuse and, and all issues. Stay alert! A few stolen moments yielded these two gems… and wasn’t it interesting that in Paris they were able to save the North and South Towers this time? A tragedy nonetheless, however. There is no doubt we are in transformational times. The planet and all its inhabitants are shifting out of the old ways of being ruled by fear. We are transitioning to a world steered toward peace and harmony ruled by Universal Law. This time in our history was always going to happen it was inevitable. Our planet was always going to return to alignment with harmonic convergence with the Universe. We are experiencing an incredible uptick of Light from our Central sun that is making this all happen. This new Light emits light codes to manifest this New Earth. It’s not a coincidence that millions of us are waking up to this! Use discernment. There’s no way to vet this kind of information. Mobilization of more than 300 thousand soldiers with the aim of destroying the full sgs and dark extraterrestrial forces. The third war has been deactivated in astral plane by the galactic Confederation. My friends, given the world reality humanity is going through a critical situation between the cabal of the deep state, extraterrestrial rebel groups and the galactic alliance. In this last time, more than 300 thousand soldiers have been mobilized from Russia, the United States of America, China and other countries, this movement of troops of the great powers would call it a strange movement for many, because it is a Undercover operation. 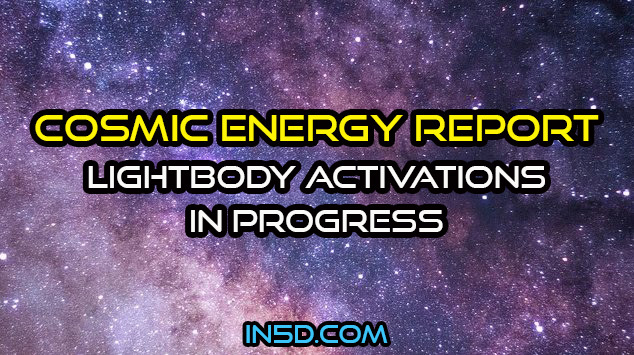 Our light body is always activating, yet I share here for those that resonate. Fear/anxiety energy is coming up again, for the last week and continues. For me, it is presenting as I move/shift yet again, to a higher plane of existence and physically as well. This has brought up major fear for me and total exhaustion too as I have had to push my lightbody to move stuff and now in the process of heavy cleaning as I clear the energy of my new space. Major physical movement and evidence of the new world birthing from the fires of the old. I want to start this off by acknowledging the history, connection and wonder the Cathedral of Notre Dam has evoked through the centuries and mourn for the art and culture lost. This being said, I need to explain the structure and how it works inside of the world grid, the leyline flows or in even simpler terms, the planets meridians. As the Cabal gained more and more occult power, taking over governments, empires, religious organizations and eventually the collective drive of the planet, they experimented more and more with diverting the natural pathways the Earth uses to flow 7th dimensional consciousness through the 3D reality. I just had to share this precious story of alignment and angelic presence that moved me deeply. As you know, we’ve been holding an online Easter Auction to help raise money for rabbit rescues, alongside donating 10% of proceeds from our Magick Rabbit Etsy Shop during the Easter Sale going on through April 22nd. The auction just closed last evening and what unfolded was truly magickal. The auction item was this rabbit basket and all of its contents that included three very special crystal eggs. Bids started off slowly, but were starting to gain momentum over the weekend and last day. I had no attachment to outcome, but hoped to raise the optimal amount we would be able to add to our donations we’re collecting. Bids closed at $103 yesterday at 6 pm PST, which was a steal for everything included, yet in perfect alignment and unfolding. Praying Medic: Hannity, Huber and Leaking – Are We Watching a Movie? Hannity, Huber and Leaking – Are We Watching a Movie? Where did Hannity get that idea? No one else (that I’m aware of) has reported that Huber is investigating leaking. We know that Jeff Sessions appointed “senior federal prosecutors” to look into allegations of corruption in the FBI and the Department’s handling of investigations into the Clinton Foundation and sale of Uranium One. Sessions appointed these prosecutors rather than a second Special Counsel which had been requested by Trey Gowdy, Bob Goodlatte and other members of Congress.